The Xperia Play runs Android version 2.3.2, though I wouldn't be surprised if you couldn't tell. It has been given a light skin by Sony Ericsson that leaves functionality intact but gives everything the same vibe as found on Sony Ericsson's earlier Xperia-branded devices. 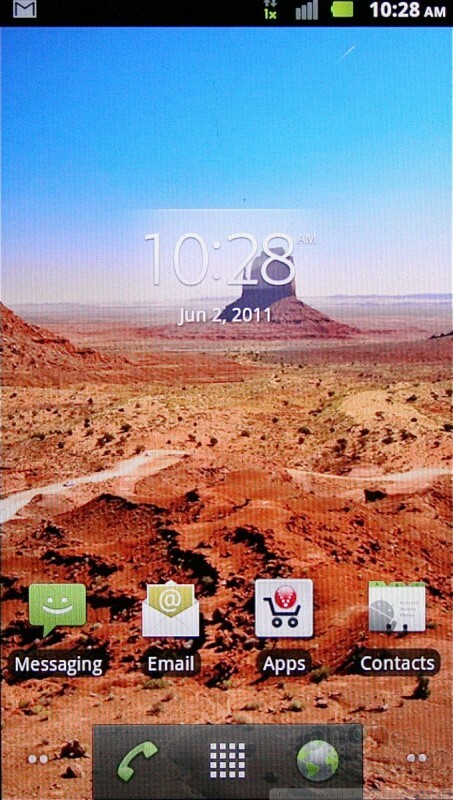 Sony Ericsson's treatment of the home screens is typical for an Android device. 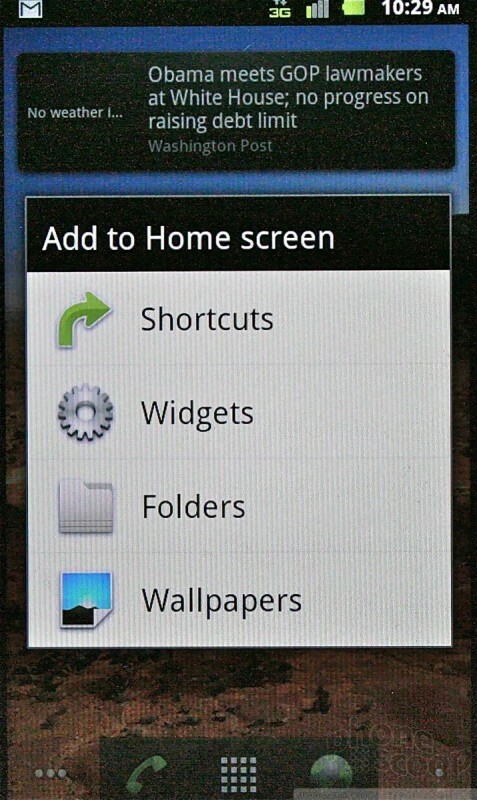 There are five panels to the home screen, which are littered with a mish-mash of apps and shortcuts. The main app menu is the same alphabetized grid of icons, and the settings menus are identical to those of other Android handsets. Sony Ericsson has given them a hint of color, but otherwise they are left mostly alone. The five home screens can be adjusted per individual tastes, but the main menu is stuck in the alphabetical grid. No rearranging it or shifting it to a list-style view. One thing worth pointing out: when the Xperia Play is opened (but not necessarily being used for a game), the arrow keys on the left side of the game pad help with on-screen navigation, and the secondary keys can be used for faster access to the menus than reaching up to hit the four standard Android controls. The Verizon CDMA version of the Xperia Play is slightly different from the GSM one. The look and feel have been updated slightly, and the user interface elements I've mentioned here take place of what was a stock Android build on earlier models we've handled. We go hands-on with the new Xperia Play from Sony Ericsson, the Android / PlayStation gaming phone coming soon to Verizon Wireless. Does it live up to the hype of a Super Bowl ad? We're live from the Sony Ericsson press conference at MWC, where they've promised to spill full details on the Xperia Play Android gaming phone. 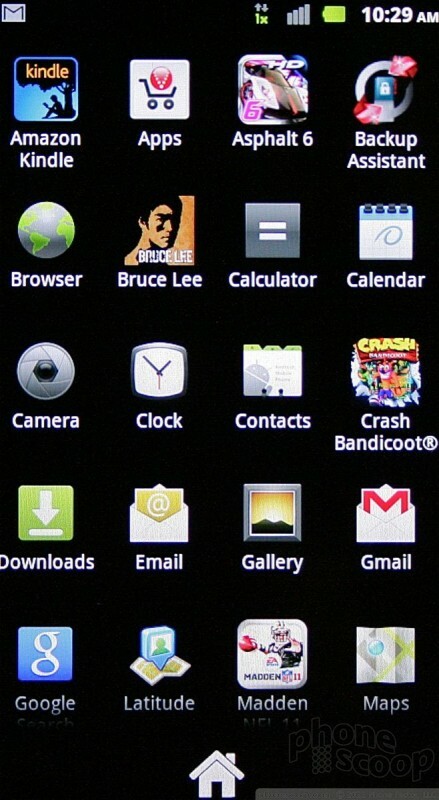 Verizon Wireless is offering a system update to the Sony Xperia Play gaming Android smartphone. The update adds continuous auto-focus when shooting 720p HD video, improves the user experience when loading games, and lets owners use the right trigger button as a camera/shutter control. Sony today indicated via its web site that it will push the Android 4.0 Ice Cream Sandwich update to the Xperia arc S, neo V, and ray starting in mid-April. The update will be distributed over the course of four to six weeks.